While Luchini Mediation Services, LLC formed as a sole practitioner business, it is growing to become a collaborative team of professionals with diverse backgrounds. Stéphane has worked in the fields of conflict resolution and restorative justice since 2001. 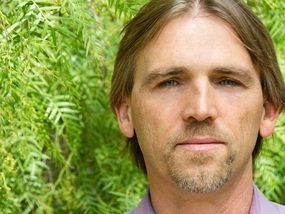 He holds the degree Master of Arts in Conflict Resolution from Antioch University McGregor, and was founding Executive Director of The Restorative Justice Community Center of Southwestern New Mexico, Inc where he trained and mentored restorative practitioners and designed and implemented a variety of restorative justice programs. In addition to his specialty in restorative justice, he provides workplace and family mediation using both transformative mediation and restorative practices models. During sabbatical in 2013, he renewed his life-long work for nonviolence with focus on building restorative capacities in schools through an integration of training, consulting, and direct services. To see his full CV, click on the link to the left. Esther's interest in restorative practices was born of her experience as a teacher in public schools in England. Discovering that restorative practices offered a way to use the techniques and approach of restorative justice in schools, she started taking professional development training with the International Institute for Restorative Practices, and is working towards their Masters degree in Restorative Practices and Education. She has trained in mediation with Cynthia Olson and received circle training from Jeanette Martinez of Outcomes, Inc. Collaborating with Stéphane Luchini, she developed the website Restorative Justice New Mexico. As well as using restorative practices in her teaching work, she conducted circles for women at the Grant County Detention Center and is developing a program to provide support circles for victims of crime.